Where Do Mosquitoes Lay Their Eggs? Do They Breed In Water? Do Dryer Sheets Keep Mosquitoes Away? Both the Google Play Store and the iPhone App Store are littered with them: Anti-mosquito apps that would be a repellent to insects, whether they are indoors in your room, or outdoors in your garden. I’ve tested out some of these phone apps, to see if they actually help to repel them effectively. Spoiler alert: Chances are pretty high you will be disappointed (a lot). But it was a lot of fun to try these anti-insect apps for Android & iOS. Look, the odds are pretty high you’re checking out this page because you want to get rid of some mosquitoes in your house. So in a last-minute effort, you attempted to use your smartphone and browsed through some apps. You might have downloaded a few of them, but nothing worked so far. Correct? I’ve been exactly in your spot, and worked my way towards a good solution just like you are doing now. Are there any apps that can help in repelling those pesky creatures from biting you and sucking your blood? There certainly are a lot of options out there. Do these types of anti-mosquito apps work? Doubtful. But a sound-frequency emitting device such as this one on Amazon could work a lot better for you. Hang some of those ultrasonic Amazon devices them up all around your house and those bugs are gone a lot faster than a crappy, free sound frequency app. Anti-Mosquito Sound App: Does It Work? There’s a whole range of anti-mosquito apps that claim to work against mosquitoes. It works using certain sound frequencies that would be able to repel mosquitoes by merely using a speaker. However, there is no evidence that a sonic frequency app can work against a mosquito, let alone prevent it from biting a human. The range of available apps differ individually, but most allow you to choose a preferred sound frequency and leave it on overnight. This is done to help shy away any unwanted flying intruders in the house, or even outside in the garden. Regardless if the location is indoors or outdoors, there are not many reports to be found that can help provide good evidence to support their usefulness. There can only be one anti-mosquito app truth and that is: These types of apps are designed to entertain and generate advertisement revenue from ill-informed consumers, who are desperate for a direct solution against possible mosquito bites. The original purpose, which is the act of repelling blood-hungry insects, is not fulfilled by these types of sound frequency apps. While the creators of such apps will do anything to help you trust in their product, the true purpose of these types of software is to simply fulfill a need. Platforms like the Google Play Store have applications for literally every single use, and developers will happily fill up a niche that allows them to make some money on the side. That’s exactly what these mosquito-killer apps are created for: You clicking (or tapping) on those beautiful advertisements. I’m very sorry to burst your bubble of trust, but that’s the reality of these apps. And I say this after extensively testing some of them for multiple nights (with mosquitoes in the bedroom). I tried different apps, different smartphones, I removed my phone case, I attempted to position the speaker differently. Nothing seemed to annoy or affect those pesky little creatures. Not even changing the frequencies, which would help to find the ‘sweet spot’ with regards to scaring away insects. So, what would be these sound frequencies that are supposedly able to scare away female mosquitoes from a certain area? Anti-mosquito repellants use a frequency between 20 kHz to 100 kHz, because this is inaudible to adults. Children are able to hear up to 30 kHz, which can make the sound frequency annoying to them as well. Some users of anti-mosquito apps report optimal results around a frequency of 17 kHz. This would mean that the ideal sound frequency is within the audible range of an average human adult. However, despite the incidental reports, there are multiple controlled scientific tests that dispute the effectiveness of such frequencies. Ultrasound devices in both the high ánd low-frequency ranges show similar results. All tests show no effectiveness of sound frequencies on mosquitoes. There was literally no evidence of any type of change, regardless of the species of mosquito researched. In fact, in one study there was even an increase in the number of bites for a specific species of mosquito. Apparently, the creatures became excited by the sounds and tried biting anything that came near them. A sort of biting-frenzy, if you will. So, Does Ultrasonic Anti-Mosquito Sound Work Or Not? There is no scientific evidence that ultrasonic anti-mosquito sounds can work to repel mosquitoes at any frequency. In 2001, the FTC even gave out warnings to manufacturers of ultrasonic insect repellants to not make claims without evidence. It is, therefore, safe to say that ultrasonic sounds are a sub-optimal solution to repelling mosquitoes. It could kill mosquito larvae and adult mosquitoes thermally due to heat effects. In practice, however, the results are a lot different. Ultrasonic sounds do either not affect mosquitoes, or make them more prone to biting humans. Essentially turning them into biting monsters of doom. That’s the kind of scary statement to get you to never want a sound repellant anymore, right? So what are the alternatives? I’d propose you to simply browse around this website for a bit, to see some of the available products that might help you. Do make sure to check out the section where I review and test the effectiveness of many different types of repellants that dó work, which can be found here. 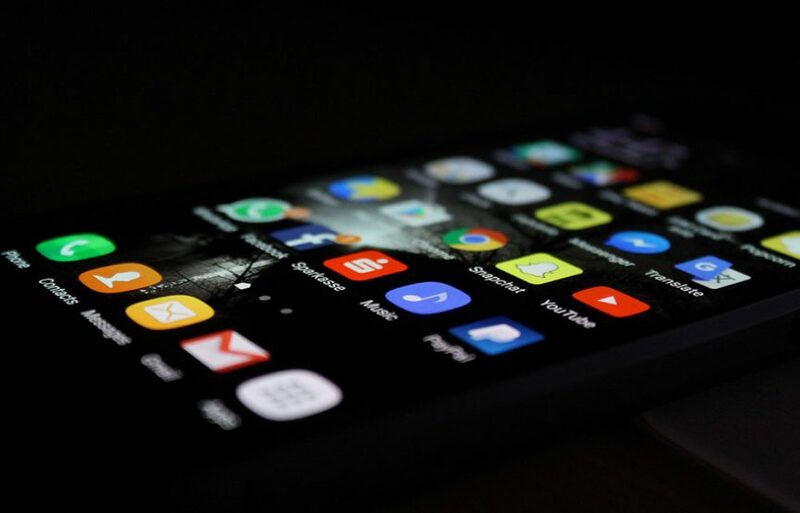 For the sake of being a completionist, let’s focus ourselves now on the types of available apps that would even come close to a viable solution. There are quite a few entertaining apps to choose from, which actually surprised me. It turns out people are actively downloading and using them. One of the most downloaded and best-reviewed apps for Android devices is called “Pest repellent sound“. The concept is easy: it emits an annoying, high-frequency sound that should scare away any type of bug or insect that might be roaming around your house. There are three modes in this app, but none seem to shoo away any unwanted tiny intruders in the house. Too bad, but it was a nice try. An alternative would be the Android app called “Mosquito KillerX” by developer DragonWing. It’s designed especially for your buzzing little friends, so in theory, it should work a tiny bit better against that species in particular. You are able to specify the type of location you’re in (a small room, large room or outdoors), and the advertisements are not thát annoying. There is a button for stopping and starting the sound frequencies, but no additional features of interest (such as a timer). However, I’ve tried it out overnight and I’ve seen barely any results. The little bloodsuckers still love to hug me and fill my skin with little, itchy bumps. Oh, and they love me for donating blood to them as well. In other words: These apps were more effective as entertainment than they were in repelling any insects. Looks like our Apple fanboys have a little fewer apps to choose from, but there are certainly some options with good reviews. One of the best scoring apps on iOS is one that’s called “Anti Mosquito Repellent Sound“. iPhone owners can try to shoo away buzzing insects indoors by simply starting up the software and choosing a sound frequency. This kind of surprises me, because it would be logical that a very specific sound frequency can deter mosquitoes a lot better. When you choose a random frequency, this effectiveness would logically diminish, assuming these apps would actually work (which they usually don’t). It’s, sadly, not possible to find a repellent app that actually works: Regardless of the available apps, it seems like the number of mosquito bites is not reduced at all. It’s recommendable to just forget about the concept of a working mosquito repellent through your smartphone. If you do wish to find some more effective anti-mosquito solutions, I’d advice you to check out some of the categories on our recommended anti-mosquito products page. A free app might be a nice gimmick, but it won’t help you keep mosquitoes out. But on our products page, you’ll find some surprisingly affordable items that dó permanently keep out unwanted flying intruders in your house.